Another huge update has arrived for Super Bomberman R, bringing new characters, stages and more to a game that has evolved beyond a questionable Nintendo Switch lanuch game to one of the most robust games in Bomberman history. This update brings in more content from Castlevania, platform-exclusive characters, and even more Konami throwbacks. While there were already some Castlevania characters added in previous updates, this Super Bomberman R update brings Alucard and three different stages based on the series to the mix. There’s a new, themed variant to the “Basic” level, along with “Bloody Tears” and “Castlevania” stages with unique mechanics. There are ten new characters in total, although five of them are platform exclusives. PlayStation fans will probably thrilled with Toro Bomber and Pipo Monkey Bomber. Also, from the Konami history books, we have Mimi Bomber and Nyami Bomber, Upa Bomber, and Caesar Bomber. Bomber Time events (Limited time only) – Scheduled online events allowing players the chance to double gem/BP when participating in the Online Battle Mode (visit the official website for a schedule of the Bomber Time events). 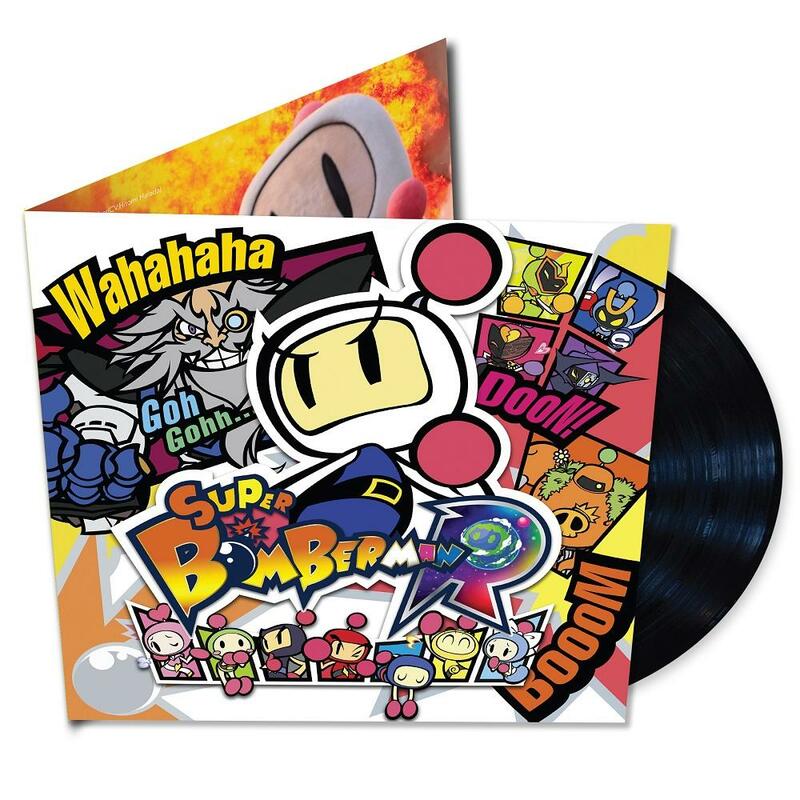 Also, don’t forget that if you’re a fan of Super Bomberman R, you can get your hands on a new vinyl record of the game’s soundtrack.